Friday, May 25, 2018, 10 – 10:30 a.m. 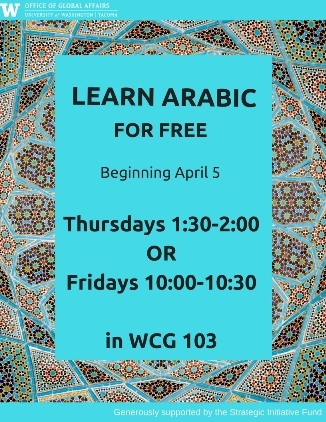 Learn Arabic in an informal setting and for free with international student Shooq Alhathelool. Lessons on Thursday and Friday of each week will cover the same material.